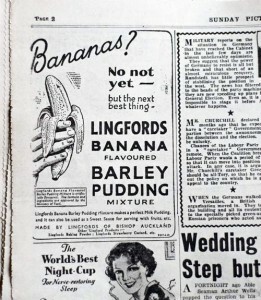 When bananas weren’t available, one did the next best thing and made something that tasted like a banana! Select young, fresh parsnips as they are more tender and taste sweeter. Peel the parsnips; leaving them whole and steam until tender; dry the parsnips. 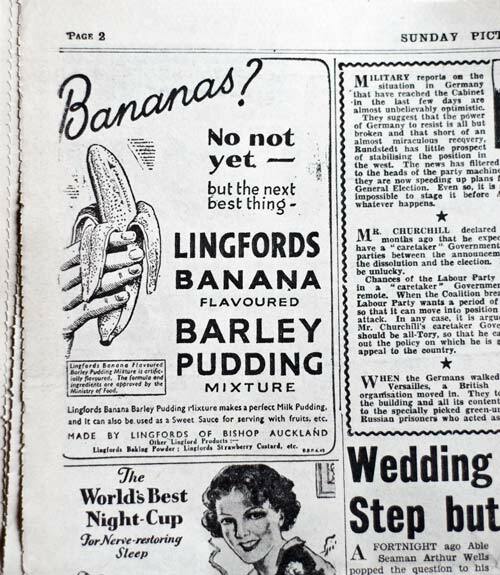 Slice the cooked parsnips and put into a bowl; thoroughly mash and add a few drops of the banana extract. Continue adding the banana extract to taste (but not too much); add sugar to taste then mash until smooth. Serve on two slices of National Loaf bread for a nice banana sandwich!